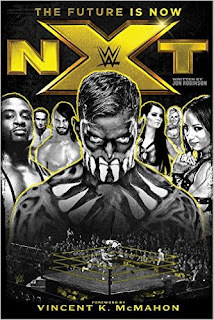 NXT: The Future Is Now follows the rise of WWE's popular NXT brand from its conception to the brink of taking over WWE with its own rabid following. For decades, sports-entertainment had no centralized system for recruiting and training talent. Recognizing this need, Paul Levesque — better known as 14-time World Champion Triple H — convinced Vince McMahon that WWE must reinvent itself. This book delivers the revealing story of Levesque's vision and the revolutionary impact it has already had on the WWE landscape, cultivating such world-renowned stars as Seth Rollins, Kevin Owens, Charlotte, Finn Bálor, Sami Zayn, Sasha Banks, and so many more.